During the ‘mini-recess’ of Parliament, I visited the West Bank with a group of Labour members from Sheffield. 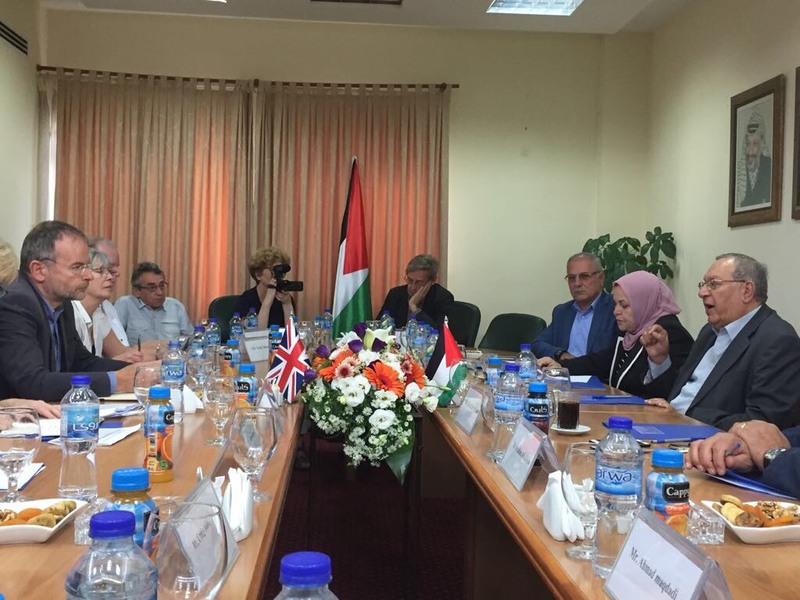 Staying in Ramallah, we travelled to Nablus where we toured the Askar refugee camp, visited Cordoba girls’ secondary school and the Dar Al Fonoon arts centre, and met with the Mayor and senior Councillors. We also called in on a skatepark at Asira Al-Shamalyia, built with the help of, and funds raised by, a Sheffield volunteer. We visited the Palestinian village of Nabi Saleh near Ramallah and met local people who have been organising weekly protests against an illegal Israeli settlement on their land. We also travelled to the Bedouin village of Khan al Ahmar which is facing demolition despite a major international campaign to protect it. We saw the wall being built to separate the West Bank from Israel and visited the Qalandia checkpoint where thousands of Palestinians have to cross each day for work -; and visited the Israeli settlement of Ma’ale Adumim. As well as a briefing from the UK’s representative in Palestine – the British Consul-General in Jerusalem -; we had meetings with the UN Office for the Coordination of Humanitarian Affairs, Military Court Watch, members of the Palestine Legislative Council, the Fatah International Relations Commission and the Campaign to Free Marwan Barghouthi and all Palestinian political prisoners. The group is preparing a full report on the visit with proposals for action to respond to what we saw and build links with the communities we visited. I’ll be publishing more on my website soon.